In this post, you will find all there is to know about the Software updates for Floor Kids on Nintendo Switch (originally released on the Nintendo eShop on December 7th 2017 in North America, and December 18th 2017 in Europe). 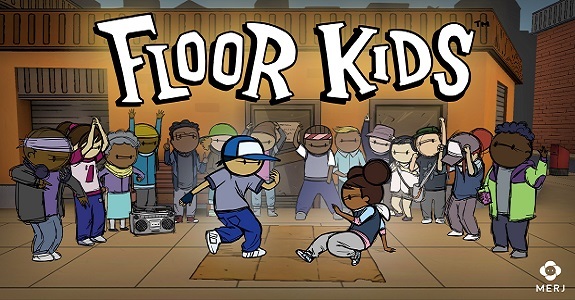 How to download updates for Floor Kids for the Nintendo Switch? Added video capture support! Share your groove with the world! New! practice “Infinity” dance mode. Access from the Extras menu. Replay the tutorial from Extras menu. Rewatch cutscenes from Extras menu. Added an audio latency calibration tool to the Options menu. Improved Breakdeck card switching animation when selected. Added HD rumble effects on Freeze and Power moves. Improved Multiplayer and Infinity Mode track selection. Crash when player 1 and 2 simultaneously presses pause. Crash that sometimes occurs upon exiting Multiplayer. Move name sometimes not appearing when starting a dance routine. Exiting credits scene doesn’t stop credits track. Sometimes first chorus block doesn’t fill. Two funk bonus visuals appear on first chorus note. This update adds Infinity Mode. French translation fix in Controls help screen. Tutorial music playback issue after resetting progress.